Outside of a few aches and pains here and there, the Mets’ rotation has stayed remarkably healthy this season. A group with significant injury concerns heading into the spring has quelled nearly all of them, with Jacob deGrom, Noah Syndergaard, Zack Wheeler and Steven Matz in particular combining to start 111 of the team’s first 155 games. 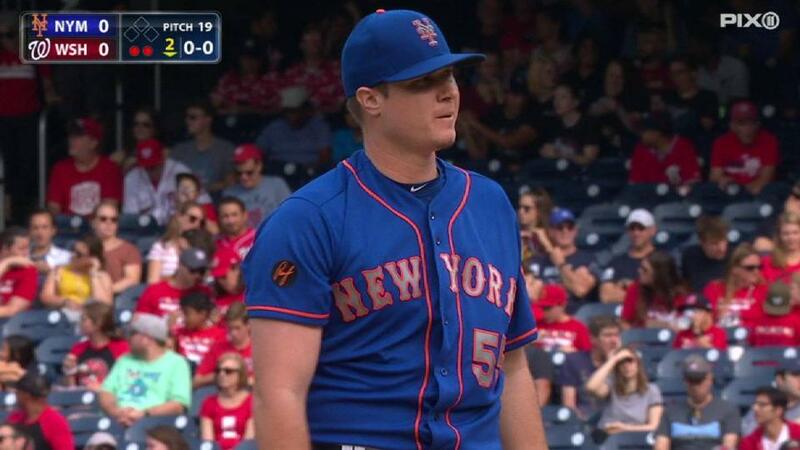 As a result, a year after exposing their lack of rotation depth during an injury-riddled season, the Mets have relied relatively little on their extra arms. But they will head into the winter optimistic about the one depth piece they’ve seen consistently, rookie Corey Oswalt, who delivered five innings of two-run ball Saturday in a 6-0 loss to the Nationals.